Receive donations from around the globe. 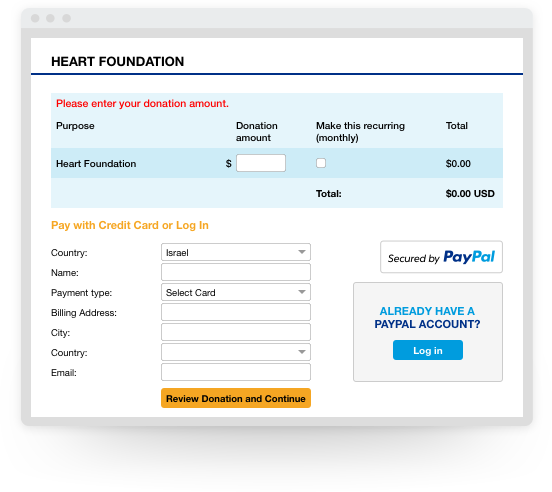 Collect donations from around the world by adding PayPal to your website. Give your charity international reach. Accept donations with PayPal and credit cards. We’re available in over 200 countries and markets, in over 20+ currencies and millions of active users, making us the perfect partners for your global campaigns. Six reasons to choose our fundraising solution. 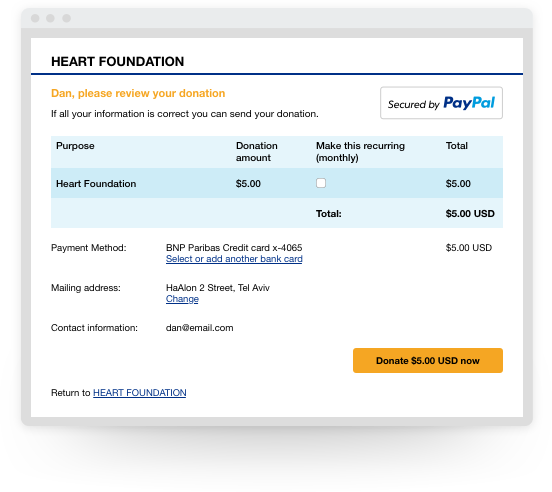 With PayPal, all it takes for your donors is a few clicks to make a donation on your fundraising page. No need to wait to access your funds. PayPal donations will go into your account with just a few clicks. 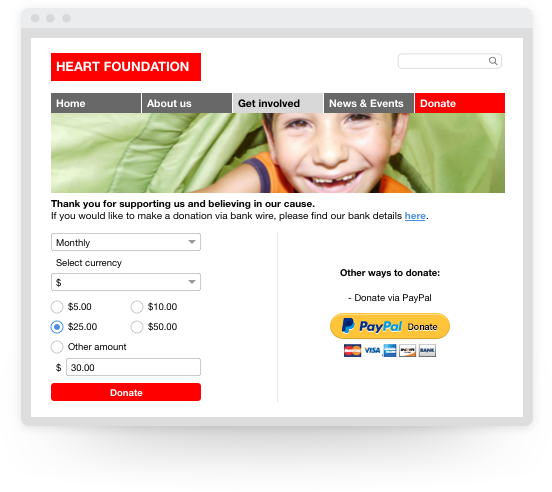 PayPal donation buttons are automatically generated and localized and are easy to add to your website. Keep track of all your transactions from your PayPal account, thanks to monthly statements, downloadable logs and instant searches. Offer donors, sponsors and members the option to give regular donation amounts from their PayPal accounts on set dates. Define one-off payment amounts or let donors decide how much they'd like to give. Our automatic fraud screening helps protect your organization and those who support it. And we’re PCI compliant, making it easier for you to meet those standards. How it works for your donors. Your supporters choose PayPal to donate on your website. They make a one-off payment, or subscribe to regular donations, by logging in to their PayPal accounts or entering their credit card details. They review and confirm their donation and billing details. They receive confirmation of their donations. 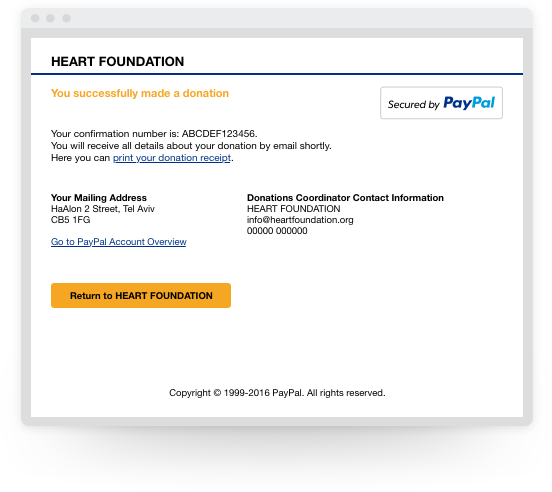 How to set up online donations via PayPal. Sign up for a PayPal Business Account and select the ‘Non Profit Organization’ option. Send us the list of needed documents. Add our popular ‘Donate’ button, or ‘Subscribe’ button, to your website. Just copy and paste a few lines of HTML code. Accept donations with PayPal today. Which documents would I need to send you?